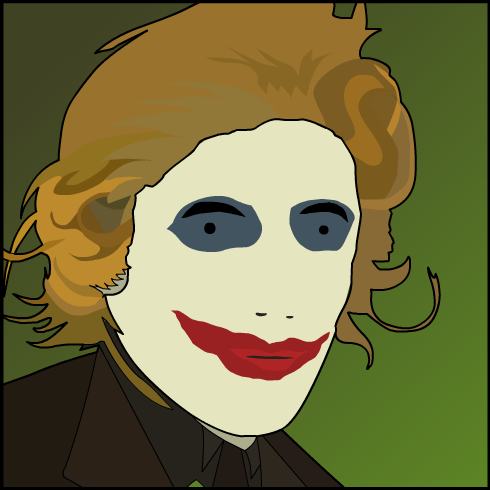 This is another vector drawing of me done based off a photo taken after this year's haloween party (2008). Spiffing. I spent all of an hour applying face paint and greasing up a wig, good fun all round.